Prior Virtues Include-Magnanimity, Fortitude, Humility, Loyalty, Obedience, Trustworthiness, Meekness, Patience, Perseverance, Foresight, Generosity, Magnificence, Moderation, Docility, Gratitude, Honesty, Circumspection, Prudence, Orderliness, Self-Control, Respect, Responsibility, Kindness, Patriotism, and Affability. Pro-Life Youth Club- 7th and 8th Graders. Ask Chris for more details. Middle School Chess Club- Tuesdays and Thursdays lunchtime in 8th grade room. ​Mi Career Quest 2019, Wednesday, April 24th, Grand Rapids. Legislative Day May 14th, State Capital. 8th Grade students are asked to attend ONE of the following retreats. Spelling- Unit 26, due 26th. Vocabulary- Unit 14, due May 3rd. 8th Grade- Social Studies Letter to the Editor. 7th Grade- Ancient Empires and their connection with geography. 6th Grade- World Cultures and Governments. ​5th Grade- Early American documents which influenced the start of the American Revolution. ​5th Grade- Slave life in America, primary documents. 8th Grade- The Missouri Compromise. 8th Grade- James Madison's Presidency. 7th Grade- Ancient Empires compared to Civilizations. 6th Grade- World Culture and Governments. ​5th Grade- Slave life in America. 6th Grade- Continued learning about world population distribution and growth rates in different countries. ​5th Grade- Continued our study on Africa leading into triangular trade in early America. 7th Grade- Continued on our early civilization research project. Due Wednesday and Thursday. 8th Grade- American foreign affairs 1800s. 7th Grade- Continued on our early civilization research project. 6th Grade- Continued learning about world population distribution and fertility rates in different countries. 8th Grade- Supreme Court Cases, and Judicial Review. ​5th Grade- Continued our study on Africa. 8th Grade- Continued our research on President Jefferson. 7th Grade- Started on our early civilization research project. ​5th Grade- Started our study on Africa. 8th Grade- Current Events and discussion. Starting our research on President Jefferson. 7th Grade- Continued learning about the ancient Chinese civilizations. ​5th Grade- Continued the Original 13 Colonies project. Presentations. 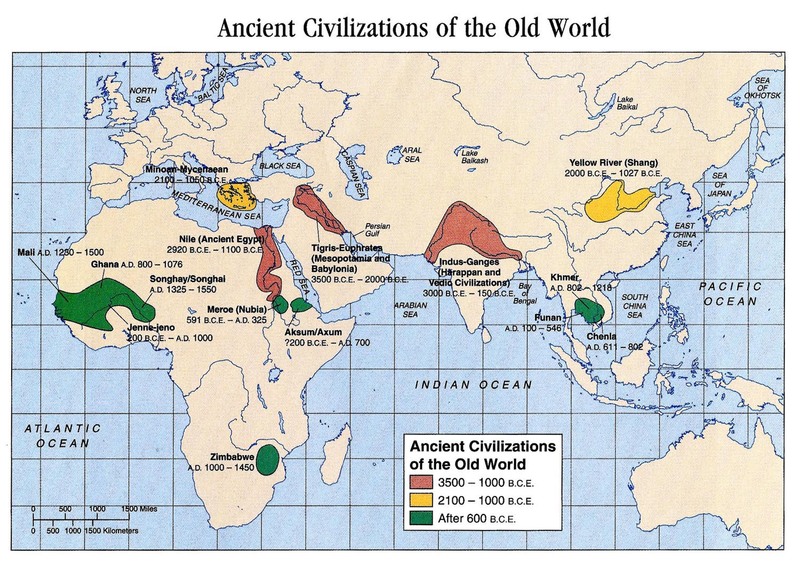 7th Grade- Started research project on early civilizations. 6th Grade- Continued learning about world population distribution and fertility rates in different countries. Father Chuck visit. ​5th Grade- Father Chuck visit. 6th Grade- Continued learning about world population and distribution. 8th Grade- Studied the Presidency of John Adams and the laws he enacted, and then the election of 1800. ​5th Grade- Continued the Original 13 Colonies project. Due Monday. 8th Grade- Studied the Presidency of John Adams and the laws he enacted. ​5th Grade- Continued the Original 13 Colonies project. 8th Grade- Studied the Presidency of John Adams. 7th Grade- Started learning about the ancient Chinese civilizations. 7th Grade- Continued learning about the ancient Indus civilizations. 7th Grade- Started out study of Ancient China. 6th Grade- Continued learning about world population density. 8th Grade- Current events and Confirmation prep. ​5th Grade- Started the Original 13 Colonies project. 8th Grade- Current events due Monday. 7th Grade- Continued learning about the ancient Indian civilizations. ​5th Grade- Continued learning about the early middle colonies. 7th Grade- Started learning about the ancient Indian civilizations. 8th Grade- Domestic changes in early America. 7th Grade- Worked on class vocabulary, and it is homework due tomorrow. 6th Grade- Continued learning about world population and what impacts different regions. 7th Grade- Finished our studies on ancient Egypt. 8th Grade- Current events. Continuing the presidency of John Adams. 7th Grade- Continued learning about ancient Egypt. 6th Grade- Started learning about the worlds population and what impacts different regions. ​5th Grade- Started learning about the early middle colonies. 8th Grade- Concluded MLK and Catholic teaching lesson. 7th Grade- Concluded MLK and Catholic teaching lesson. 6th Grade- Concluded MLK and Catholic teaching lesson. ​5th Grade- Concluded MLK and Catholic teaching lesson. ​5th Grade- Continued learning about the English colonies, Southern Colonies. Current Events. 8th Grade- Early U.S. domestic changes. 6th Grade- Continued our study on the geography of South America. ​5th Grade- Continued learning about the English colonies, Southern Colonies. 8th Grade- 3.2 Early U.S. domestic changes. 6th Grade- Continued our study on the geography of South America. Clickable S.A. map activity. 8th Grade- Current Events hour. 7th Grade- Continued learning about ancient Egypt. Current events. ​5th Grade- Continued learning about the English colonies. 8th Grade- Early American government reading. Turned in essays. Current events due tomorrow. 7th Grade- Continued learning about ancient Egypt. Current events due tomorrow. 8th Grade- Continued learning about early American political parties and have been working on a government essay. ​5th Grade- Learning about the English colonies. 8th Grade- Continued learning about early American political parties. 6th Grade- Started our study on the geography of South America. 8th Grade- Current events. Started learning about early American political parties. 6th Grade- Continued out study of climagraphs and when and how those can be used in our everyday lives. Due Friday. ​5th Grade- Early American Colonies. 6th Grade- Continued out study of climagraphs and when and how those can be used in our everyday lives. ​5th Grade- Soil and farming. 8th Grade- Continued out research into the Presidency of George Washington. 7th Grade- Continued learning about the timeline of events in Mesopotamia. ​5th Grade- Finished our lesson on adaption versus modification. ​5th Grade- Tides and patterns. 7th Grade- Continued learning about the culture and government of Mesopotamia. 6th Grade- Continued studying Climagraphs . ​5th Grade-Adaptation vs modification lesson. 6th Grade- Started studying Clima-graphs . ​5th Grade-Finished learning about the Western Empires of Africa and how they interacted with both the Americas and Europeans. 6th Grade- Worked with an interactive clickable map of the continent of Africa on study problems. ​5th Grade- Started learning about the Western Empires of Africa and how they interacted with both the Americas and Europeans. 7th Grade- Discussed Pearl Harbor history. Continued learning about Mesopotamia and early forms and needs for writing. 6th Grade- Discussed Pearl Harbor history. ​5th Grade- Discussed Pearl Harbor history. 8th Grade- Test Review. Test Tuesday. 7th Grade- Continued learning about Mesopotamia and early forms and needs for writing. 6th Grade- Continued learning about the continent Africa. Studied the climate and ecosystems of the continent. ​5th Grade- Continued our study regarding the Regions in North America. Started deepening our understanding of the Native Americans. 8th Grade- Researched the framework and details about the legislative branch. Test Review. 8th Grade- Researched the framework and details about the legislative branch. 8th Grade- Independently researched the framework and details about the executive branch. 7th Grade- Started learning about Mesopotamia and early forms and needs for writing. ​5th Grade- Continued our study regarding the Regions in North America. 8th Grade- No SS on Fridays. 7th Grade- Completed our KWL regarding ancient civilizations, and discussion. Started learning about Mesopotamia. 8th Grade- Continued our study on the Judicial Branch. 7th Grade- Completed our KWL regarding ancient civilizations, and discussion. 8th Grade- Explored the origins of the ideals implemented into the constitution from prior documents and events. Started our study on the Judicial Branch. 7th Grade- Reviewed and worked on class vocabulary. Then we started on a KWL regarding ancient civilizations. 6th Grade- Continued learning about the continent Africa. Studied the climate and ecosystems in relation to the distance from the equator. ​5th Grade- Started our study regarding the Regions in North America. 8th Grade- Explored the origins of the ideals implemented into the constitution from prior documents and events. 7th Grade- Reviewed and worked on class vocabulary. 6th Grade- Continued learning about the continent Africa. ​5th Grade- Worked on finishing up early exploration. 7th Grade - Continued learning about the Equator. 8th Grade- Presented Research Projects to class. 7th Grade- Continued learning about the Equator. ​5th Grade- Presented Research Projects to class. 7th Grade- In class group work on Geography. Then started learning about the Equator. 6th Grade- Class discussion on geographic movement and trade in North America. Started learning about Africa. 7th Grade- In class group work on Geography. 6th Grade- Class discussion on geographic movement and trade in North America. 8th Grade- Veterans Day Discussion. 7th Grade- Veterans Day Discussion. Floods and how they can hurt and benefit humans. 6th Grade- Veterans Day Discussion. ​5th Grade- Veterans Day Discussion. 8th Grade- No meeting today. Research Projects Due Wednesday. 7th Grade- Floods and how they can hurt and benefit humans. 6th Grade- We continued with our chapter on geographical movement. ​5th Grade- Worked on our early explorer research project. 8th Grade- Worked on Politician Research Project. 6th Grade- Then we continued with our chapter on geographical movement. ​5th Grade- Then worked on our early explorer research project. 8th Grade- Election discussion. Worked on Politician Research Project. 7th Grade- Election discussion. Then we started on our next topic of floods and how they can hurt and benefit humans. 6th Grade- Election discussion. Then we continued with our chapter on geographical movement. ​5th Grade- Election discussion. Then worked on our early explorer research project. 8th Grade- Middle school mock midterm discussion. Worked on Politician Research Project. 7th Grade- Middle school mock midterm discussion and then corrected vocabulary. 6th Grade- Middle school mock midterm discussion and then continued our chapter on Moment in geography. ​5th Grade- Middle school mock midterm discussion and then worked on our early explorer research project. 8th Grade- Middle school mock midterm election and discussion. Worked on Politician Research Project. 7th Grade- Middle school mock midterm election and discussion. 6th Grade- Middle school mock midterm election and discussion. ​5th Grade- Middle school mock midterm election and discussion. 8th Grade- Did not meet today. 7th Grade- Worked on class vocabulary. 6th Grade- Continued on Geography of North America, Movement. 8th Grade- Continued Politician Research Project. ​5th Grade- Started our Early Explorer research project. 8th Grade- Started our Politician Research Project. ​5th Grade- Continued with early exploration and navigation. Started our Explorer research project. 8th Grade- Studied and discussed the upcoming election and Legislative Branch today. Discussed Politician Research Project. ​5th Grade- Continued with early exploration and navigation. 8th Grade- Studied the Legislative Branch today. 7th Grade- Continued to study prehistoric events and people. 6th Grade- Started next chapter on Geography of North America, Movement. 8th Grade- No Social Studies today. 6th Grade- Started next chapter on Geography of North America. 8th Grade- How the Constitution Balanced Conflicting Interests. 6th Grade- Worked on class vocabulary and research methods. 8th Grade- Started on our next chapter- The Constitution Balancing Conflicting Interests. 6th Grade- Worked on class vocabulary and reviewed our map quizzes. 8th Grade- Continued to study the Bill of Rights. 6th Grade- Map quiz today. 7th Grade- Continued to study prehistory. 6th Grade- Quiz today over location conditions. ​5th Grade- Continued to study early American Indians and migration. Then started on early exploration. 8th Grade- Started to study the Bill of Rights. 6th Grade- Remember to study from your world maps. ​5th Grade- Continued to study early American Indians and migration. 8th Grade- Studied the Electoral College, and Presidential Election process. 6th Grade- Continued to study how the natural environment and temperature is connected with the distance to and from the equator. ​5th Grade- Started to study early American Indians and migration. 7th Grade- Studied our prehistory, worked on note taking, and had a talk with Father Chuck. 6th Grade- Did not meet today. ​5th Grade- Did not meet today. 8th Grade- Discussed the agreement that were settled with the creation of the Constitution. 7th Grade- Discussed and read about our calendar system and started on the topic of prehistory. 6th Grade- Continued learning about geographic locations of our early civilizations. ​5th Grade- Continued learning about the Atlantic Trade Winds and ocean currents. 8th Grade- We are learning about the construction of the Constitution and about some of the main compromises that were involved. 7th Grade- Analyzed a timeline about the Ancient Olympics. 8th Grade- Constitution's Preamble follow up discussion and continued reading about the Constitution Convention in out textbook. 7th Grade- Constructed a classroom timeline. 6th Grade- Started learning about geographic locations of our early civilizations. 8th Grade- Constitution's Preamble activity. 7th Grade- Compared and contrasted timelines with geo-histograms. 6th Grade- Cardinal Directions construction. ​5th Grade- Started learning about the Atlantic Trade Winds. 8th Grade- Worked on class vocabulary. Focused on the three equal branches of the government. 7th Grade-Discussed main historical eras and events. 6th Grade- Learned about the world's oceans and started on the Cardinal Directions. ​5th Grade- Built and discussed main ideas with compelling questions, and how they are supported with details from supporting questions. 8th Grade- Did not meet for Social Studies today. 7th Grade-Discussed big main events in pre-history, ancient history, and in the middle ages. 6th Grade- Mapping and using Cardinal Directions. ​5th Grade- Built and discussed compelling questions, and how they are supported with details from supporting questions. 8th Grade- Worked on class vocabulary. 6th Grade- Did not meet today, MAP testing. ​5th Grade- Did not meet today, MAP testing. 8th Grade- Learned and wrote about Shay's Rebellion. Homework- What did Shay's Rebellion prove about the Articles of Confederation? Explain examples. 7th Grade-Started to learn how historians document and stud events chronologically. 6th Grade- Continued to construct our world map as a class. ​5th Grade- Read and discussed how to question a reading or document and to think about where that source came from, and if it is considered credible. 8th Grade- Investigated and discussed the Articles of Confederation. 7th Grade- ​Quiz on analyzing sources. 6th Grade- Continued on map building as a class. ​5th Grade- Worked as a class on chapter vocabulary and discussed early navigation and the challenges involved. 8th Grade- No meeting today. 7th Grade- ​Analysed primary and secondary sources for credibility. 6th Grade- Worked on a mapping/geography pretest. ​5th Grade- Identified the main reasons the European powers colonized North America. 8th Grade- Started to piece apart the Articles of Confederation. 7th Grade- Finished up our textbooks first chapter. 6th Grade- Finished up our first chapter in our textbooks. ​5th Grade- Started to learn about the British, French, and Spanish during the early colonial period. 8th Grade- Continued our reading ad discussion on the Articles of Confederation and the construction of the Constitution. 7th Grade- No meeting today. 6th Grade- No meeting today. ​5th Grade- Quiz today- Explain the difference between a compelling and a supporting question. Give examples. 8th Grade- Continued learning about and discussing the Revolutionary War's details, causes, and events. Started our reading on the Articles of Confederation and the Constitution. Homework writing, if not turned in during class- What are a few main events that we learned about in the Revolutionary War, and what are two reasons America won against Britain? ​5th Grade- Interpenetrated primary and secondary sources form the same event to determine what really happened? Looked at dates of publications and authors to help determine the most accurate account of an event. 8th Grade- Continued learning about and discussing the Revolutionary War's details, causes, and events. 7th Grade- Finished out first chapter as a class and we will interpenetrating and evaluating different sources. 6th Grade- Researched the different interpretations and projections of flat maps and how they show distortion and errors in scale when compared to globes. ​5th Grade- Interpenetrated different types and reasons to utilize maps. Discussed map keys and the cardinal directions. 7th Grade- Continued to discuss and read about how history can be interpreted differently and how to use your tools and resources to find the best information to for an idea. 6th Grade- Continued reading out Chapter 1, about using geography in our everyday lives. ​5th Grade- Continued to read about Civics and Political Science in our Social Studies book, and finished this week with discussing the different reasons we study Geography. 8th Grade- Started our review on America's Revolutionary War. 7th Grade- Discussed and read about how history can be interpreted differently and how to use your tools and resources to find the best information to for an idea. 6th Grade- Welcomed Father Dave into our classroom for a discussion. Continued reading out Chapter 1, about using geography in our everyday lives. ​5th Grade- Read about Civics and Political Science in our Social Studies book, and discussed. 8th Grade- Reflected and brainstormed in small groups about our prior knowledge regarding the Revolutionary War and early American History using a timeline. 7th Grade- Did not meet due to MAP testing. ​5th Grade- Did not meet due to MAP testing. 8th Grade- Created a classroom Constitution and started a class writing to finish up this topic. 7th Grade- Created a classroom Constitution and started a class writing to finish up this topic. 6th Grade- Created a classroom Constitution and started a class writing to finish up this topic. ​5th Grade- Created a classroom Constitution and started a class writing to finish up this topic. 8th Grade- Constitution Day- We discussed and read about the rights and freedoms given to us in our US Constitution. We also learned about the history and creation of the document. Homework-Writing essay due tomorrow, Tuesday. 7th Grade- Constitution Day- We discussed and read about the rights and freedoms given to us in our US Constitution. We also learned about the history and creation of the document. Homework-Writing essay due tomorrow, Tuesday. 6th Grade- Constitution Day- We discussed and read about the rights and freedoms given to us in our US Constitution. We also learned about the history and creation of the document. Homework-Writing essay due tomorrow, Tuesday. ​5th Grade- Constitution Day- We discussed and read about the rights and freedoms given to us in our US Constitution. We also learned about the history and creation of the document. Homework-Writing essay due tomorrow, Tuesday. 8th Grade- Homework Essay: What does it mean for Americans to live like it is 9/12/2001? Explain using details; about the history behind this idea, why this is important, and at least 3 specific examples. Due Tuesday. 7th Grade- Homework Essay: What does it mean for Americans to live like it is 9/12/2001? Explain using details; about the history behind this idea, why this is important, and at least 3 specific examples. Due Tuesday. 6th Grade- Homework Essay: What does it mean for Americans to live like it is 9/12/2001? Explain using details; about the history behind this idea, why this is important, and at least 3 specific examples. Due Tuesday. ​5th Grade- Homework Essay: What does it mean for Americans to live like it is 9/12/2001? Explain using details; about the history behind this idea, why this is important, and at least 3 specific examples. Due Tuesday. 8th Grade- MAP testing. Discussion on 9/11 interview questions. Read and discussed Catholic individuals who gave or sacrificed to help others during 9/11. 8th Grade- Learned about and discussed the attacks on September 11, 2001, and how the American people came together to help others and to help overcome. Homework: Students need to interview someone who remembers the 9/11 attacks. Ask them what they remember from that day, and how the American people, from their perspective, were able to come together and/or show Patriotism after the terrorist attacks. Written responses, due tomorrow. 7th Grade- Learned about and discussed the attacks on September 11, 2001, and how the American people came together to help others and to help overcome. Homework: Students need to interview someone who remembers the 9/11 attacks. Ask them what they remember from that day, and how the American people, from their perspective, were able to come together and/or show Patriotism after the terrorist attacks. Written responses, due tomorrow. 6th Grade- Learned about and discussed the attacks on September 11, 2001, and how the American people came together to help others and to help overcome. Homework: Students need to interview someone who remembers the 9/11 attacks. Ask them what they remember from that day, and how the American people, from their perspective, were able to come together and/or show Patriotism after the terrorist attacks. Written responses, due tomorrow. ​5th Grade- Learned about and discussed the attacks on September 11, 2001, and how the American people came together to help others and to help overcome. Homework: Students need to interview someone who remembers the 9/11 attacks. Ask them what they remember from that day, and how the American people, from their perspective, were able to come together and/or show Patriotism after the terrorist attacks. Written responses, due tomorrow. 8th Grade- Discussed student papers regarding America's Ideals. 7th Grade-Continued working on chapter 1. Discussed different historical resources, and how to question author's intent. 6th Grade- Working on chapter 1- geography and global connections. ​5th Grade- Continued working on chapter 1. Continued reading and discussion regarding historical dates and documentation. 7th Grade-Continued working on chapter 1. Reading discussions and primary and secondary source examples. 6th Grade- Working on our chapter 1- geography and global connections. ​5th Grade- Continued working on chapter 1. We are identifying and explaining parts of social studies and history in our lives. 7th Grade-Continued working on chapter 1. Class discussion regarding historical questions, inferences, and theories based on limited facts. 6th Grade- Finished working on and discussing our map focusing on conditions and connections. We will be starting our first chapter about geography and global connections. ​5th Grade- Continued working on chapter 1. We also have started identifying and explaining both primary and secondary sources pertaining to historical events. 8th Grade- Explored and discussed American founding ideals and interpenetrated those ideas in primary sources. Homework- American Ideals in Primary Sources worksheet. 7th Grade-Learned about how and where to gather historical information. Also discussed about how to question and explore the author's perspective or purpose for the documents. Working on chapter 1 in class. 6th Grade- Working on class exploration of geographic conditions and connections activity. Discussed what to consider when founding a new town and what geographic factors to consider. ​5th Grade- Working on chapter 1, as a class, to explore the different aspects of Social Studies and what different roles in can play in our lives. 8th Grade- Today we continued to investigated America's founding ideals and what those meant to the American people in 1776. We focused on our democratic principles and discussed how to make those work in our society. 7th Grade-We continued today by breaking down the different parts and uses of social studies in our lives. We are now discussing and will be investigating the characteristics of primary and secondary sources. 6th Grade- We started learning about geographic conditions and connections, with a class mapping activity about the where to build our town. ​5th Grade- We are learning about interpenetrating maps, and deciding the best location to put our colonial colony during a class activity. Then we started on getting into our textbooks, chapter 1, about how we study the past.